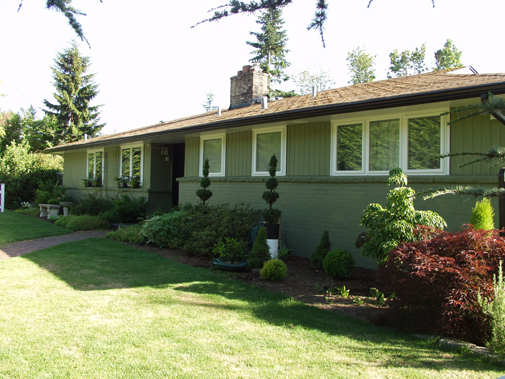 Have you decided that it is time for vinyl replacement windows and doors in Bellevue, WA? There are many reasons why you might be thinking about these upgrades for your home, and Signature Window & Door Replacement is here to help! We know that it can be a big decision to make these upgrades, and we want to assist to ensure that you receive the highest quality products and services that are available. Window Replacements: Where to Start? Making the decision is just the first step, but many homeowners don’t know how to start the process to change out the windows in their home or office. If you are trying to figure out where to start, the best thing that you can do is talk with a window replacement expert to learn more about the options that are available. As you educate yourself about replacement windows and doors, it is easy to see that there are many benefits that you will enjoy after these upgrades are done. If you are ready to replace your windows or you would like more information to decide if it is right for you, then we invite you to contact Signature Window & Door Replacement anytime and we will gladly answer your questions. Getting started with the project is as easy as scheduling a free in-home consultation with our team. We will assess your current windows and make recommendations about the best options to replace them. Money Savings: Everyone wants to maximize their investment on home improvement projects, which means that you need to be sure that you are getting a good value for the money that is spent. Vinyl replacement windows are very affordable, allowing you to choose high quality products without exceeding a reasonable budget. Energy Efficiency: Another way that you will save money is because the energy efficiency of these windows will help to reduce your monthly utility bills. Many homeowners are spending more than necessary on their utilities, and the best way to reduce these bills is by improving the energy efficiency of your home. Making these upgrades right now will allow you to save money every month for many years. Appearance and Style: If you feel like your home looks old and rundown, you should consider making upgrades that will help to improve the overall appearance of your home. A few small improvements, such as vinyl replacement windows, can go a long way to make your property look better. Safety and Security: How safe is your home? If you have old windows and doors, your home could be an easier target for intruders. Vinyl replacement windows use high quality materials and design features to improve the safety of your home. Peace and Quiet: It can be annoying to listen to noisy neighbors all the time, and low quality windows make it difficult to block out the sounds from the neighborhood. Vinyl replacement windows help to insulate your home more effectively, which can block out sounds such as barking dogs, noisy cars, loud music, and more. There are a lot of reasons that you should consider replacing the windows and doors of your home. If you want to enjoy these benefits, we invite you to schedule a complimentary in-home consultation with our team at Signature Window & Door Replacement. We are here to answer your questions, and we will help you to understand the many benefits of replacing the windows in your home. Even though it seems like a lot of time and effort to invest in your property, the truth is that these upgrades can be beneficial to help with the value of your home. By making a few upgrades right now, you will be able to enjoy the benefits of more equity when you are ready to sell. Even small projects can go a long way to improve the overall quality and value of your property.